Let’s talk about our new friend the Austin Air purifier. Much to Clayton’s dispoinment, it isn’t a rolling box to jump off and add to his new obstacle course obsession. It is however, easily rmoveable, and sleek enough that I’m happy to have it sitting in my living room without wanting to hide it – that was an essential for me. I want non toxic, but I also want a nice looking home. Guilty. Full disclosure: I wrote to Austin knowing they had the best units and the ones I wanted and asked if they would want to send us one to test drive and show you, I then asked them if they’d want to provide a coupon code to help those who needed an air purifier. But on researching I was researching to buy, I’m not just writing about it cos they sent it to me. They didn’t push it on me, I wrote to the one company I wanted to buy from anyway! If you want to purchase one, look on their site HERE but call (800) 724-8403 and use the code KEZIA to get a 10% discount. I don’t get any cut, I just wanted to see if I could offer anything to help people buy the units! If you haven’t followed the story, the day after we got home from England our town here was scarily and shockingly struck by the Carr fire. Wildfires are an every year occurrence and we’ve lived through one really bad summer before but this time a tornado of fire literally blew though the town, the flames rolled down from the mountains and there was a moment when we really wondered if the whole city was going to be lost. We watched the news and satellite maps like a hawk, worked out how and where we would evacuate to and what we’d take, then we opened up our home while our side of town was safe, and stood outside in the middle of the afternoon in the eery almost dark bewildered. We watched the line of the fire on a satellite map cross over our friends’ houses and cried watching them hurriedly evacuate in panic. At one point we heard that they had stopped trying to fight the blaze. It wasn’t even being fought. That was when it really sunk in. It was scary, and surreal and something I never want to see happen again. We live in California and there are wildfires all the time but one coming into town this far is very unusual, and this was the largest in the history of California. I’m not even going to touch on the recovery effort, it’s been unbelievable and moving to see our town come together, that would be another blog post. 1000 people are without homes and a lot of people are greiving the loss of possession, homes, and even loved ones. It’s going to be a long recovery effort. A long mending process for our town. One of the ongoing things that’s affected the whole town and wider area is really bad air quality. 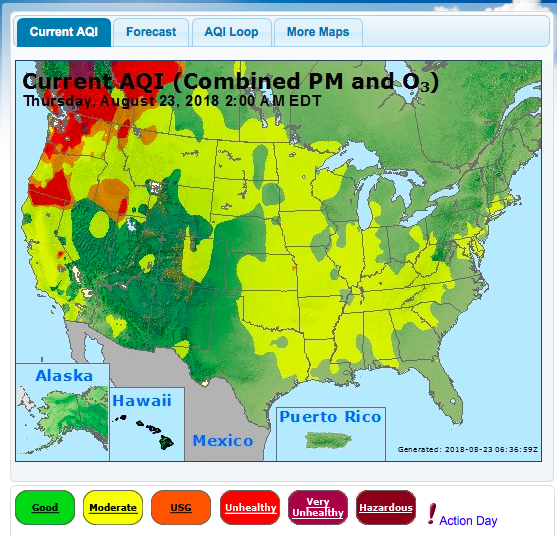 I didn’t even know the acronym AQI but now we search it multiple times a day. For the last 4 weeks we’ve been outside minimally, no playing, no trails, no garden time, and lots of sweaty masks. Our whole town is pretty much doing the same thing. My husband has worn a mask inside his office… the air is really bad. If you think about not just trees and natural things burning but every piece of everything that is in a house and home, much of it toxic when it burns, all lingering in our air. We haven’t had a drop of rain since the fire started and there is still a fire smoke smog over our area. If you’ve followed us for any length of time you know I’m ALL about keeping our home as clean of an environment as possible (read more about that HERE). And by ‘clean’ I mean non toxic, I do my best at the other kind of clean too, but I give my all to the non toxic kind!! That means I’m very careful about what I let into my home, more than most and about what we eat in our home. Really I’m very very careful about how we treat out bodies in our home. Some would say that shooting for 100% organic isn’t important, or having 100% of our food packaged not in plastic isn’t important, or that 100% skin care being non toxic doesn’t matter… but to me it does. Why? Because SO much of what we’re exposed to we don’t get to control. As soon as we step outside of our home, we’re exposed to all kind of things in foods I can’t control, in the air, things we touch… everything. BUT fear is something I just won’t bow to in life. So when things are truly out of my control I make a decisive effort to not sweat them, and let it go. But the way I combat that is to give 110% where I do have control. That way I know our bodies are as set up as they can be, that their toxic load is the minimum that we can achieve well. So once we step in our home, I’m not actually about finding balance. I’m about giving everything I can to set us up as a family! That’s why when the air quality was so so bad and we knew it could be months before it changed, even inside our home, I knew staying inside wasn’t good enough. We all got sniffly and when I drove into areas with thick smoke I immediately felt it in my lungs and head. Even when I couldn’t smell it, I knew that wasn’t the indicator that the air was clean. I needed our home to be as clean as I could manage. Next google search: Best air purifiers. I knew I needed one with a HEPA filter to filter out all the smoke and chemicals, I wanted one that could clean our whole space and was designed for smoke and chemical contaminated air. If I was going to spend the money, I wanted the real deal. With the air quality being so bad for so long I knew it was a non negotiable. 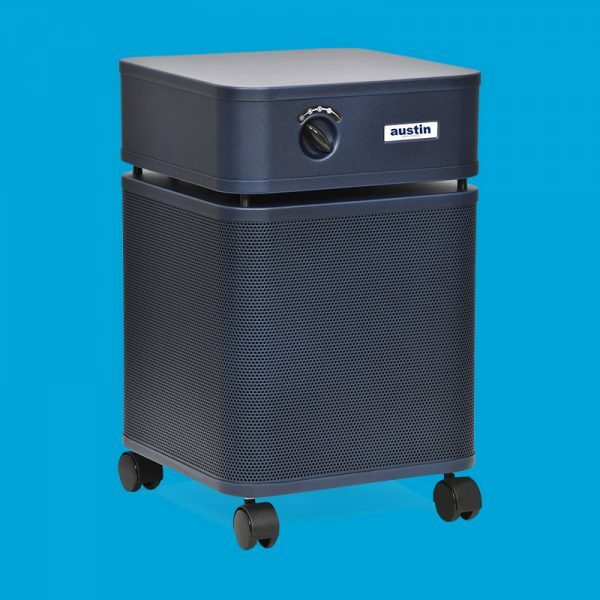 The Austin Healthmate is designed for “People in high particle and gas contaminated areas” and is suggested for “highly contaminated indoor air condition, extremely effective at removing particles in the air including elements of smoke, dust and pollen, exceptional capacity for removing Volatile Organic Compounds (VOCs).” which is exactly what we needed. The filter also lasts 5 years when some only last 1 so that was a big plus point for me too. You can check out the unit HERE. Full disclosure: I wrote to Austin knowing they had the best units and the ones I wanted and asked if they would want to send us one to test drive and show you, I then asked them if they’d want to provide a coupon code to help those who needed an air purifier. But on researching I was researching to buy, I’m not just writing about it cos they sent it to me. They didn’t push it on me, I wrote to the one company I wanted to buy from anyway! I’d highly recommend checking them out. I know some of you need (and even more want!) really clean and non toxic environments and they have filters specifically designed for people who are chemically sensitive, their units have been shown to actually reduce asthma attacks, and they’re the units the federal government chose to prodvide citizens of Anniston Alabama during the destruction of chemical weapons. These are the real deal, which is what I wanted for our family! We’re 6 days into being at home with our air being purified. Austin Air told us it to run the unit on high for a few days to start with to fully purify our air (we had the unit on high – it has three settings.) Within hours of having it on, Thursday night after it arrived we all noticed our home was a lot fresher, we all walked in from checking our chickens and breathed in deeply! It’s been stuffy to have no clean air and no doors or windows open and for the first time the air felt clear which was VERY welcome! We are all a little sniffly still, my nose has mostly cleared up but the boys are still struggling a bit. We do still have moments outside, and Jared is working in a non purified office, so that one is hard to tell fully. Ironically the moment when I noticed the unit the most had nothing to do with the smoke! But we have two relatively new ovens in the house, we heated them up high when they first arrived but when they are really heated high they still give off a bad smell. On Sunday night we heated one up to 500F for bread and instantly I smelled the oven smell. In the past it’s given me an instant headache (we won’t think about what chemicals it’s letting off!) and usually it lasts a long time for me until the smell and headache subside. I’d forgotten and when it hit I was bummed, remembering how it goes but within the hour the smell and headache were gone which was AMAZING! Nothing to do with smoke but that showed me how well the unit is cleaning our house and made me really really happy that we have it to give us clean air in the space we can control! It’s hard sometimes to value health when you can’t see it. For the first 48 hours honestly I took my babies outside, thought it wasn’t affecting us, and though we just needed to get on with life and be strong. But as I began to dig into the effects of that kind of smoke I realized that probably wasn’t the best approach 😉 I tend not to give information here that could cause fear so I’ll let you do your own research on that one if you’re in a fire affected area, but I know for out health this was a needed addition. And honestly, I think when the AQI is regularly good again, we’ll keep it in the house and run it periodically. Air isn’t something I’ve looked into much but now that I have, I’m interested to see how it helps with allergies. Do you have an air purifier? Are you in a fire affected area and thinking of investing? Or do you use one for allergies? Tell me your experience or leave any comments below! You can read more about 9 other ways we keep our home de-toxed continually HERE!